I have a few paper cuts currently available. 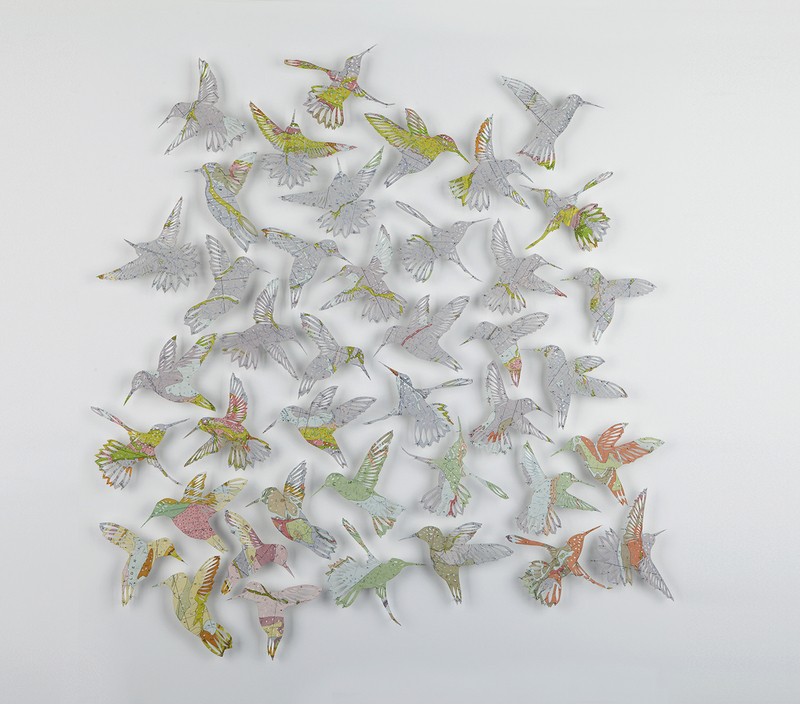 Our Love – a flock of hummingbirds cut from a geological map of Wyoming. It’s 82 x 82 cm (32 inches x 32 inches) and comes framed in a white frame with low reflective glass. 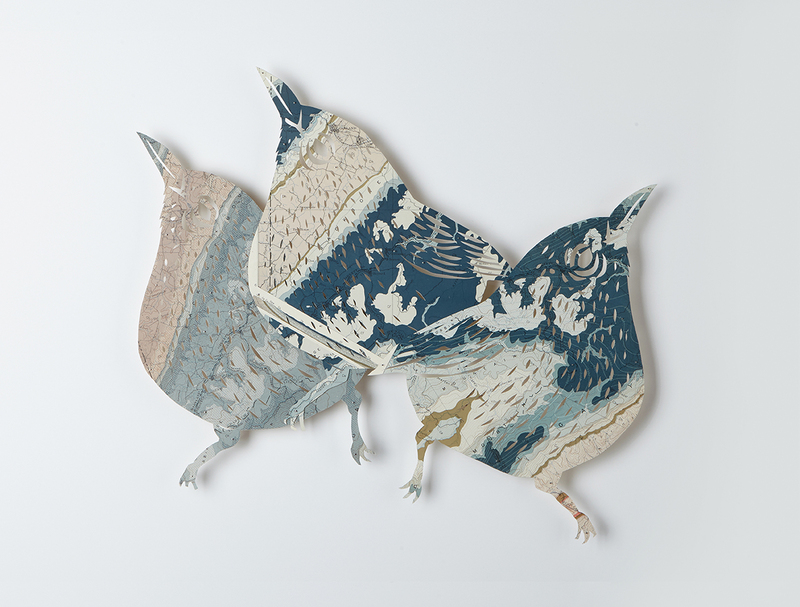 There’ll be Blue Birds – 3 Japanese White Eye’s cut from a Geological Atlas of the USA. It’s 70 cm wide x 58 cm high (27″ wide x 23″ high). It comes framed in a white frame with low reflective glass. 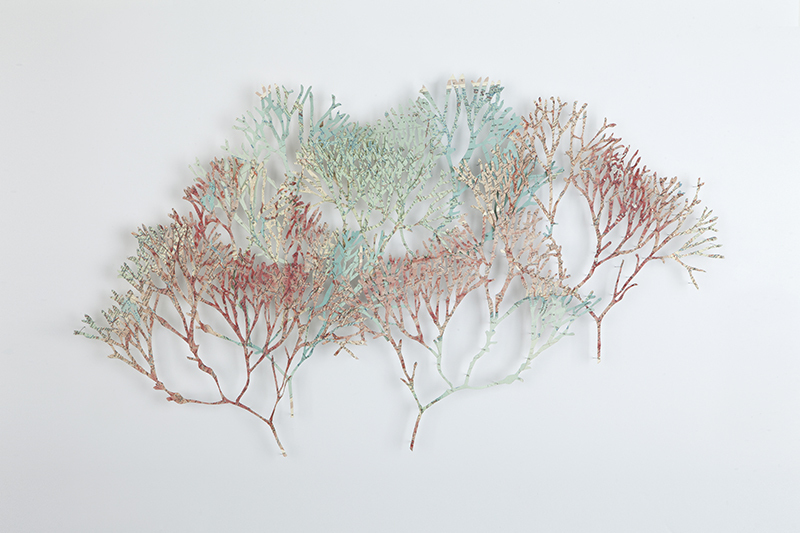 Before we were lost – hand cut seaweed from a vintage Polish atlas. It’s 71 cm wide by 50 cm high (28″ wide by 20″ high) and is framed in a beautiful white frame with low reflective glass and ready to hang on your wall. 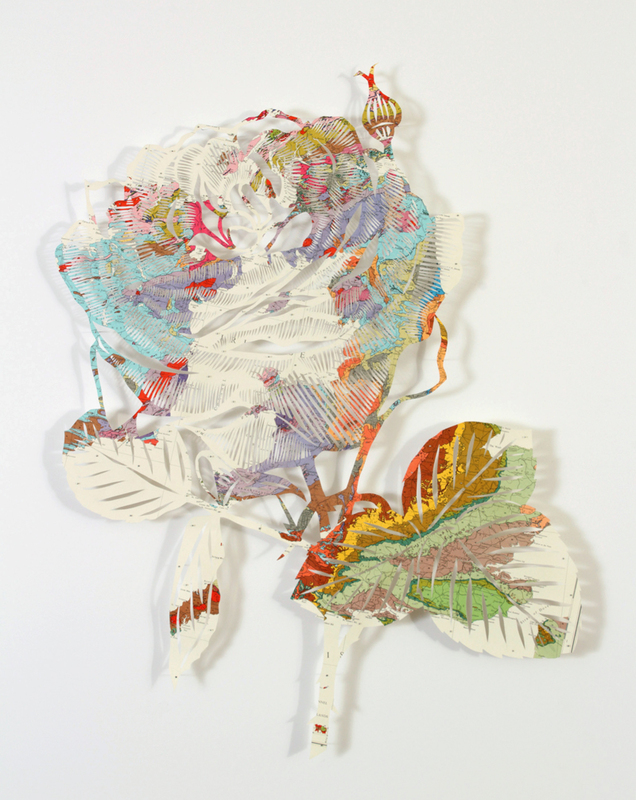 Dreamy – a hand cut rose from a geological map of Great Britain. It’s 60 cm wide x 80 cm high (23″ wide x 31″ high) and is framed in a beautiful white frame with low reflective glass. 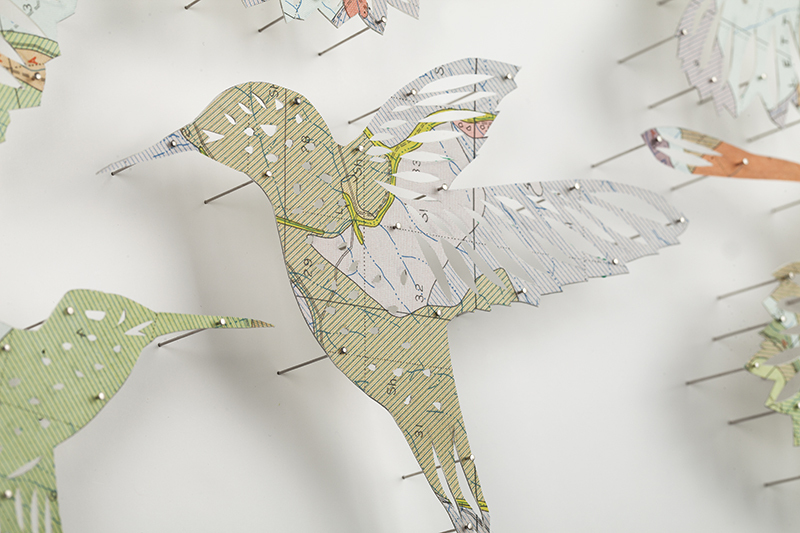 Parrot – hand cut parrot from Rainfall map of the British Isles. It’s 42 cm wide x 54 cm high (16″ wide x 21″ high) and comes framed in a beautiful white box frame with low reflective glass.